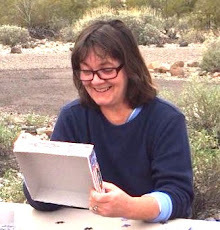 I was Judy For a Day yesterday, when I joined a group of birders (who eyed me suspiciously when I didn't know the distinguishing traits of a Bell's sparrow (they might even belong to Judy)). An ornithologist from Point Blue Conservation Science headed up the crew, and banded six stunned suspect sparrows. I took honest-to-goodness research notes. And drove sparrows into a net. I felt a little guilty. We were Bullies For Science. I'm putting some pictures on here. Please note: I'm doing this in the out-of-doors, and I can't see picture quality for quack. They may just be quack, I don't know. Sorry. We were in the field by dawn. No, I don't believe it, either. I slept in my clothes. Michael held the birds for photos in front of a whiteboard. The birds don't struggle or flail, and some seemed willing to smolder and work it. No duckface. I told Michael he was a good fluffer; everyone but Michael thought that was funny. Sorry, dude. This is what happens when you recruit riff-raff. Chris, the lead, took measurements and I recorded them. The birds got banded and released. I got good suggestions about my solar issues, and I'm still processing them. Thank you for taking the time to mention things. My last post ran afoul of the feed gods again. Another tweak; let's see what happens now. I'll bet it's good! What a cool experience! Thanks for sharing it. You made it to Feedly. Took a few hours, but here you are. Fluffer. Funny. It took a while for my prostration to appease Feedly, Jan.
Good - glad you got it figured out! Blogger wants us to never be bored. Those pictures are definitely NOT quackers. But I am stunned at the thought of you up BEFORE DAWN even to do something as cool as this. And how did you get selected?? They had heard of your heavy scientific background? Sure is a cute bird you all are abusing here. Me, too, Barbara. I was afraid it would all be a flap. Sherry, the interview process was rigorous and competitive. I showed up and announced that I'm unskilled. Chris said "You're in!" OMG, I didn't know you are a birder. I'm not, Gaelyn. It was just a chance to do something I wouldn't normally do, so I did!